When Albert Einstein quoted the famous line that an empty stomach is not a good political adviser, it was a comment which could also be applied to many situations in the the workplace. It’s because of this theory that, when businesses have meetings coming up, many companies choose lunch meetings to ensure brains are well fed and minds remain active. If you have an important meeting on the cards and you want your colleagues to be at their best, a great way to do this is by providing delicious food while you discuss the issues of the day. At The White Swan, we have been catering for lunch meetings in the Loughborough area for many years and continue to delight our customers with our fresh home cooked food, which is made from locally sourced produce and comes with an impressive level of quality guaranteed. If you were wondering why use a caterer for lunch meetings there are several plus sides to having the work done for you, the biggest one being that there’s no need to worry about it – once it’s booked, the rest is all taken care of. And there’s no need to stress about it all going to plan either. When you use our catering services, you can be assured that delicious food will be delivered to your meeting in a professional manner and you’ll receive it on time. So all you need to think about is the meeting itself. 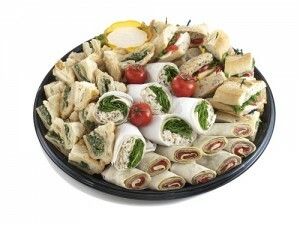 There’s also no reason why good catering should cost the earth. If your budget is fairly tight, you might be pleased to know that we can offer reasonably priced and tasty lunch catering from just £6.95 per person. Not only is the food we provide deliciously satisfying, but we’re also flexible on the kind of food we offer too. So, if you have any specific dietary requirements, please feel free to discuss, add to, or amend the menus available and we will deliver one guaranteed to meet your needs. If you have a lunch meeting coming up in the Loughborough area and are looking for a catering service that you can rely on, give us a call or drop us an email and discuss your lunch catering today.